Now that you have already opened a blog and posted a few blogposts, you must be wondering what to do next. You might have even got a few readers from all over the world. But now, the next step is to try and attract more. Your blog may be the most interesting oneever, but that doesn’t help if your content bores the readers. 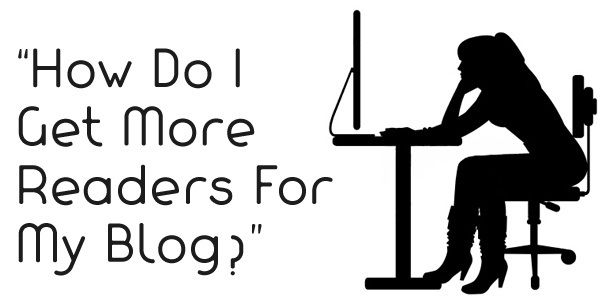 Here are a few tips to engage your blog readers with all your blogposts. One of the key ways to fascinate your blog readers is to provide content that is useful for them. After setting up your blog, find out who your target audience is going to be. It is quite simple after this – just write and use appropriate language for the people you write for and your website’sratings will greatly increase. For example, if you’re writing for a teenager, you can choose to use a few slang words. But this is a strict no-no for the corporate world. The first few lines of an article are the most important. This is what decides if the user will go through the rest or not. Try to answer some question or use a quote from somewhere. You could also take a statistical or a story writing approach. These are bound to interest the readers to make them read the rest. Most of the people over the web are trying to search for question or guides. Try to answer such questions and help these people. One of the most searched things on the web is “how to-.“ Also, try and keep your content short. Long blogs tend to bore people, and they will close your webpage before you know it. If you have trouble understanding this point, think back to when you were in school and were trying to go through your science textbooks. This is an invaluable tool since it helps you generate topics to write about. Simply enter the theme of your blog and get more topics than you can ever write about. The use of writing tools like this onecan lead to high-quality articles that are guaranteed to leave your readers wanting for more. This score suggests how easy it is to read your . Higher your score, easier it is to read. If your articles are easier to read, more people will it. There are many other tools that can help you out with this. Try and explore some of these out for yourself! Whoever your target audience might be, try to use short and simple words. Use technical jargon only if necessary. Try to use shorter sentences wherever possible. This helps increase the readability of your article. It simply means that your article can be easily read by everyone. Try to avoid giant walls of text wherever possible. Use short paragraphs, bulleted and numbered lists to organize your post. If there is one thing that your readers like more than your content, then it’s your photos or videos. If you feel that you have written enough for one page, fill the gaps with some images or videos. This will interest the readers more and give them a better understanding of what you’re trying to say. After writing a good introduction and a great body, all that’s left to do is write an amazing conclusion. The ending is the most important part of an article since it’s the last thing that your readers will remember after reading your post. Thus you must ensure that this is something they never forget. Try a unique way and go with a thought provoking question, a call-to-action or a simple message to all your readers. This will keep them hooked to all your blogposts. Now that you know some of the tricks of the trade, go ahead and start attracting new readers now! As an exercise, you could try and find out some of the things that I used in this article to keep you guys engaged. Good luck!